SunMaxx Solar just received the new Solar Rating and OG-100 Certification for our Flat Plate Collector the TitanPower Plus SU2 2.4! The SunMaxx TitanPower Plus-SU2 2.4 is the most technologically advanced and efficient flat plate produced by SunMaxx to date. Its ultrasonic welded high-density copper absorber and TiNOX selective coating enable it to deliver an astounding 81% efficiency based on absorber area. This double harp style collector’s innovative mounting system also provides the versatility needed for residential, commercial, and drainback applications. 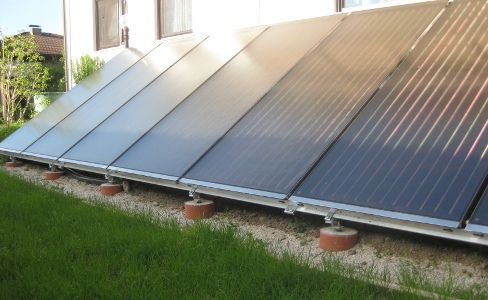 SunMaxx Solar is an industry leader in the manufacturing and distribution of turnkey solar thermal solutions for domestic hot water and space heating systems. For more information, please visit us online at www.sunmaxxsolar.com. You can also contact a solar thermal specialist at 1.877.786.6299.